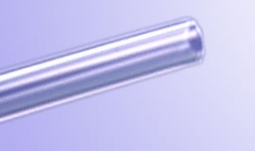 Vinyl tubing provides an ideal way to see the movement of the fluid being transfered. Select from industrial, food grade, and vacuum tubes. Available in two package sizes, call for quantity discounts. Low Cost Vinyl  Low cost vinyl tubing is ideal for general purpose fluid transfer where more chemical resistance than is provided by silicone is required. Long Flex Life (Tygon S3TM E-LFL)  Clear Tygon S3TM E-LFL tube has been formulated specifically for use in peristaltic pumps. The wear properties of Tygon E-LFL lessens particulate spallation. Fuel & Lubricant (Tygon® F-4040-A)  Tygon Fuel and Lubricant tubing is specifically designed to handle most fuels and industrial lubricants. 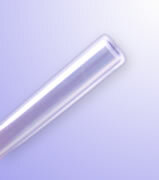 This tube resists the swelling and hardening cause by hydrocarbon based fluids. Ultra Soft (Tygon S3TM E-1000)  Tygon ultra-soft tubing resists a broad range of aqueous chemicals and is an ideal alternative to silicone in applications utilizing corrosive chemicals. Lab Tubing (Tygon S3TM E-3603)  Crystal clear Tygon E-3603 tubing handles most inorganic chemicals found in the lab. It is non-oxidizing, non-contaminating, long-lastic and crack resistant. Lab Vacuum Tubing (Tygon S3TM E-3603)  Tygon vacuum tubes have extra-heavy walls that can withstand a full vacuum at room temperature.